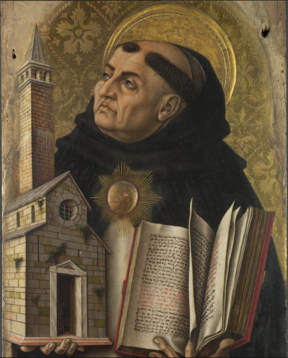 Are You Called to Join the Canons Regular of Saint Thomas Aquinas? Our community is open to men who wish to discern a calling to the traditional Catholic religious priesthood and brotherhood. Practicing Catholic men of strong virtue between the ages of 18 and 30 are invited to inquire. Interested? Catholic men of strong virtue, between the ages of 18 - 30 should first contact Br. Michael Thomas Augustine at: vocations@traditionalcanons.org to discuss the prospect of making a vocations visit to the community. 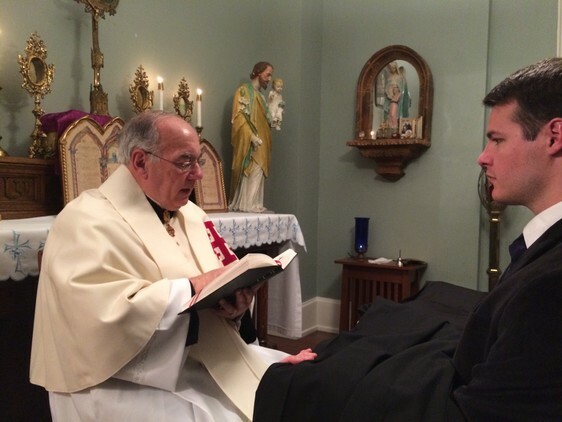 A vocations visit consists in an overnight stay wherein the candidate is able to observe at least one full day of common life with the brothers, usually two or three days. After several visits, a candidate may be invited to begin a formal postulancy with the community. The purpose of the postulancy —which typically lasts several months— is to investigate the suitability of the postulant and provide him with some initial discernment of the community. During that time, the postulant lives in a manner approximating the novitiate as closely as possible. Unlike the novitiate, the postulancy may be conducted in stages, allowing the postulant occasionally to return home at predetermined times to attend to family obligations and to gain perspective on his experience through a brief hiatus. Postulants who are deemed suitable, and who wish to continue in discernment, petition to become novices. The novitiate is one continuous, full year during which the novice remains with the community under close scrutiny. He must reside at the House or (if travelling) with the novicemaster. The novice lives as part of the community, practicing the virtues of common life, but has no vows. Unlike postulancy, he may not return home during this time period without causing the year to start over. The purpose of the novitiate is for the novice to seek special detachment from the world and his former life in order to free himself up to hear the voice of God more clearly and to embrace his vocation. 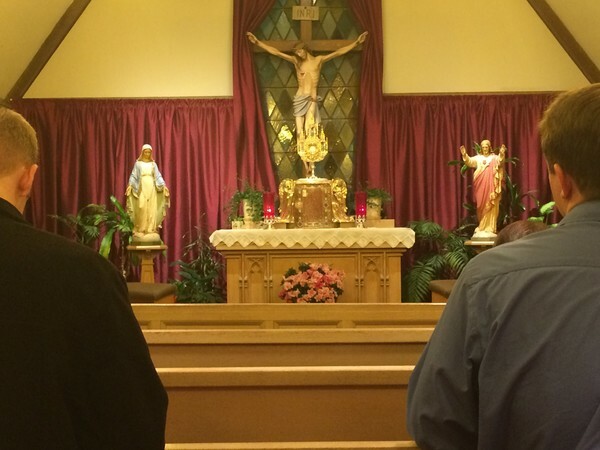 The novitiate, modeled on Christ's retreat into the desert, includes holy isolation. Parents may be called once a week for 15 minutes. Otherwise, only handwritten letters are permitted. A "tech fast" is observed which excludes the use of computers, cell phones and other gizmos. This helps provide the privacy needed for discernment and takes the man out of the virtual realm, placing him firmly in touch with tangible reality. Although the novitiate is not envisioned as a time for academic studies, certain subjects have to be studied for practical reasons. Novices study Latin and Gregorian chant, the Rule of St. Augustine and the community's Statutes, introduction to mental prayer and the spiritual life through the reading of spiritual masters and other subjects meant to help them enter into the community's common purpose and manner of living. They embrace charity through self-sacrifice and learn about the nature of religious vows and the three evangelical counsels as a preparation for taking them. It is also during the novitiate that the man first receives the habit of the community in its simplest form. Following the successful completion of the novitiate, men who wish to continue are invited to profess their first vows of religion according to the three evangelical counsels, namely: the vows of poverty, chastity and obedience. These vows are taken for one year at a time, and must be renewed annually. This period of temporary vows, sometimes called the 'Juniorate' lasts a minimum of three years for the sake of continued discernment and growth into one's vocation as a member of the community. Members in this stage are expected actively to contribute to the support of the community and participate fully in its mission and prayer. Seminary studies might also accompany this stage of discernment. It is at profession that brothers also receive a religious name. The adoption of a religious name imitates many instances in Sacred Scripture wherein a person was given a new name by God to commemorate a certain life-changing event, most especially events that touch on God's plan of salvation. Examples from the Bible include Abraham (Gen 17:5), Israel (Gen 35:10) and St. Peter (Mt 16:18). The religious name also points to the new path of life taken by the man, now consecrated to Jesus by his vows to the evangelical counsels, just as he was once given a new name at Baptism and Confirmation. Finally, the religious name secures for the man and the community the special patronage of those Saints whose names he bears. 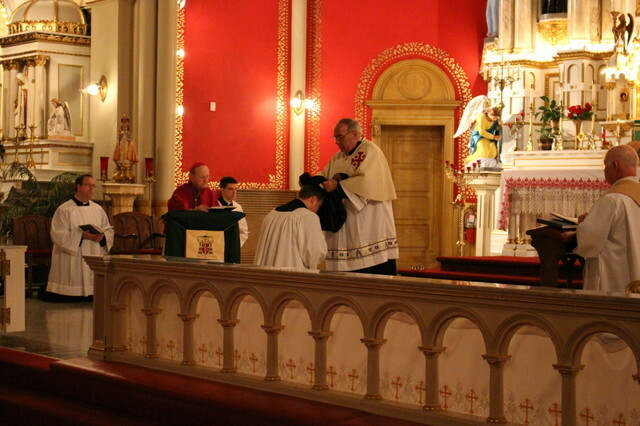 Upon his profession of the vows, the man receives the full habit of a professed member. The cincture is worn daily as a sign of his vows. The process we use to bring newcomers gradually into our manner of living faithfully follows the canonical stages of formation that Holy Mother Church requires of communities that are fully established. These traditional steps have long proven a worthy aid in vocational discernment and formation.